Dimensions: 5.3" x 1" x 7.3"
We took a detail of a flower petal and enlarged it to create the beautifully textured Ambroise frame, which also comes in two other sizes. 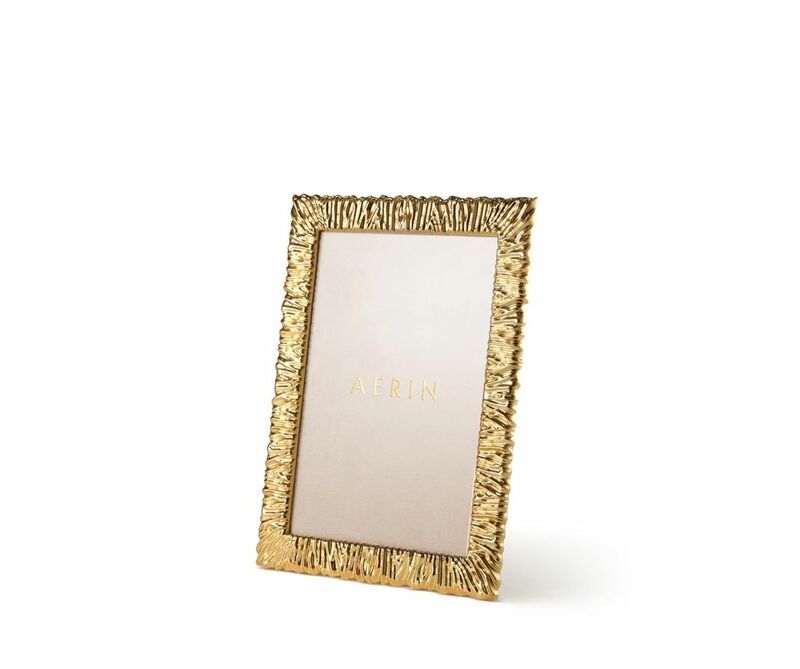 Pair it with a contrasting frame, such as the smooth AERIN Gold Frame, on a tabletop of family photographs. 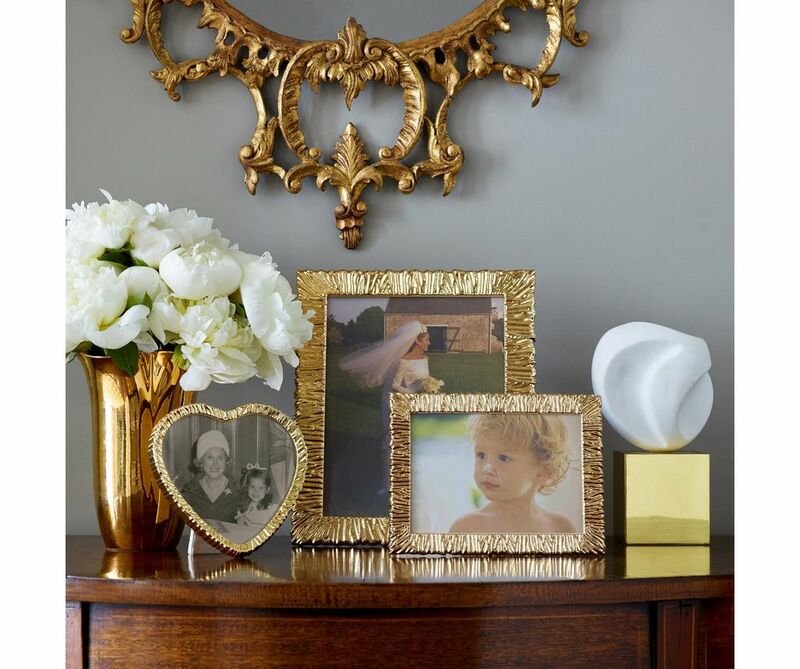 The frame is part of AERIN's Ambroise collection, which includes a heart-shaped frame and a heart objet, all perfect for gifting. 5.3" x 1" x 7.3"